Rebecca Macpherson, the Buying and Merchandising Manager for our Shop, has a very special connection to Watts Gallery – Artists' Village. Her great-grandmother, Alice, helped Mary Watts decorate the interior panels of Watts Chapel in c. 1902. Over a century on, Rebecca sources the clothing, homeware, stationery and more available in our Shop. 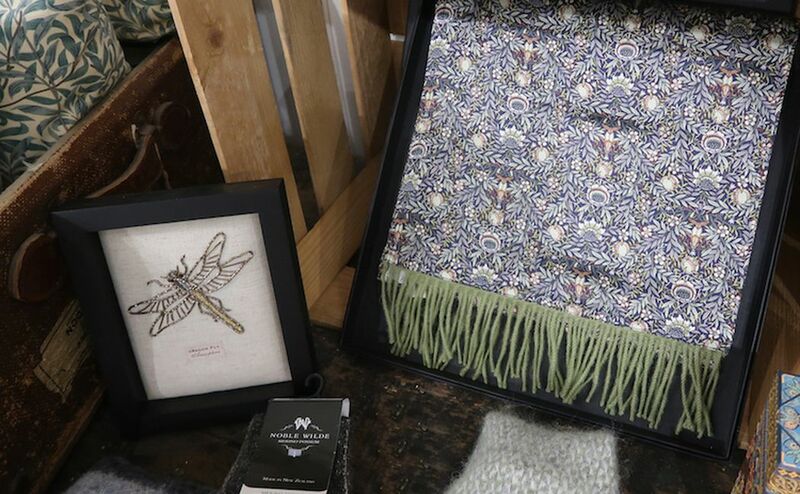 She carefully selects merchandise from local, artisan producers, as well as commissioning bespoke items inspired by our historic collection – including the Chapel design that her great-grandmother played a part in. We asked Rebecca what makes the shopping experience at Watts Gallery – Artists' Village so unique. I always say that, before the renovations in 2011, the Artists' Village was sleeping. It has now burst into life – and the Shop plays a big part in that. When I started working here in 2004, the Shop was just a few trestle tables selling postcards and the guidebook. It has now transformed into a wide range of beautiful items from artisan suppliers. You can explore Watts Gallery and Studios, enjoy a cup of tea and a scone in the Tea Shop, and then venture over to the Shop for a browse. It is amazing to see how the site has evolved and how the Shop adds to the overall experience. With Christmas right around the corner, what gifts can you find in the Shop that you can't get anywhere else? We have a bespoke range inspired by our historic collection, including a series of designs by Surrey artist Peter Cross. My favourite is the tote bag featuring Cross's Map of Connectivity, which conveys, in his bright and characterful style, the cultural activity surrounding the Artists' Village. Secret Santa can be a struggle. What's your favourite item under £10? Definitely the soaps by the Little Barn Handmade Co. They are £7.99 each, come in a variety of scents, including Matcha Green Tea and Cucumber & Basil, and are all handmade by Lynn Lear – our trading assistant! What about something for the children? We have lots of books and toys for children, including a traditional rounders set, a wooden xylophone and a 'Make Your Own Mermaid' kit. I also think the colourful prints by Sarah Lovell would brighten up any bedroom and make a wonderful gift, as well as our range of high-quality clothes and muslins by Zoe Olivia Elsdon. One of my favourite parts of Christmas is the food and drink. What tasty treats do you have on offer? I love the locally produced Horsham Gingerbread. It is delicious and the perfect treat over the festive season! 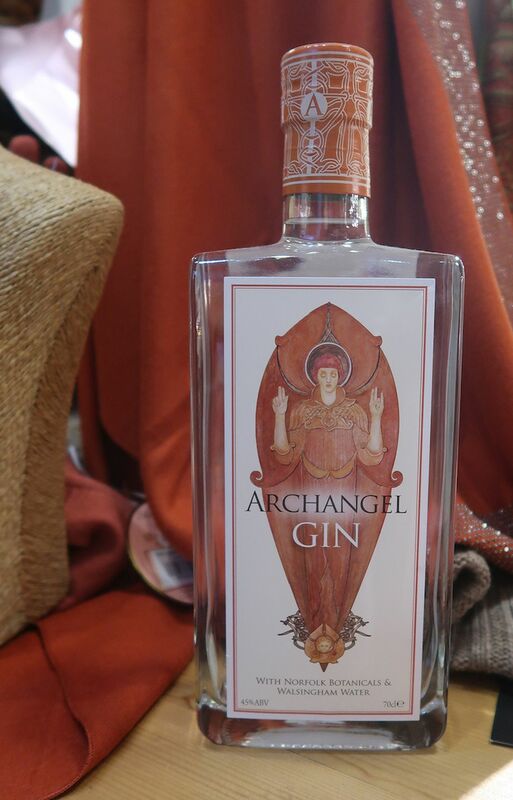 It is best complimented with a gin and tonic made with our Archangel Gin. Handcrafted in Norfolk, along the Pilgrims' Way, the gorgeous, terracotta-toned gin bottle takes its inspiration from the design of Watts Chapel. Clothing is one of the best-selling ranges in the Shop. How are you styling your Christmas Day outfit? Our Gabrielle Parker dresses would make a gorgeous statement piece for Christmas Day and come in a variety of patterns and colours to suit an array of tastes. 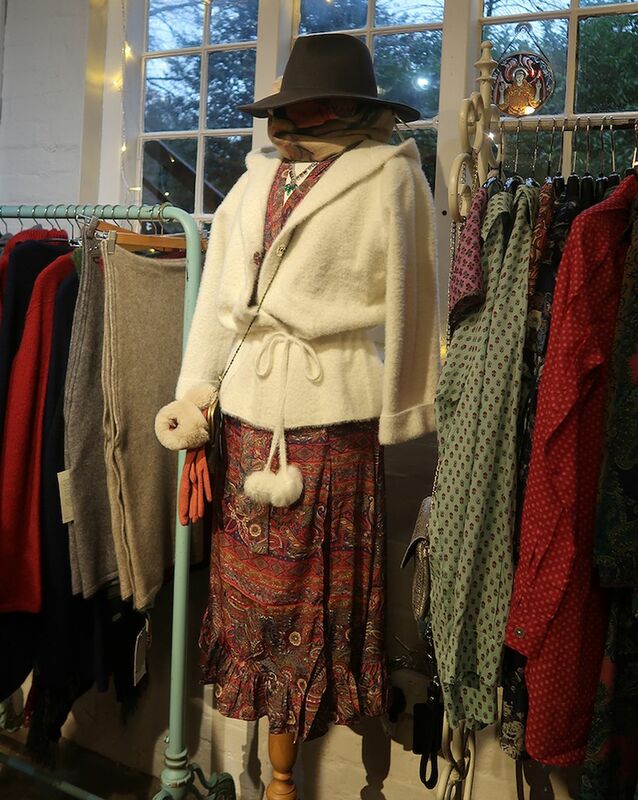 Paired with a Fenella Pompom jacket, you would be exactly the right measures of stylish and cosy! What about the men's range? We have a selection of cufflinks handmade in Cornwall by Stockwell Ceramics, which would make a wonderful gift. Our Noble Wilde knitwear would also be a stylish alternative to the typical Christmas jumper. Every purchase you make in our Shop supports our work and preserves our collection.